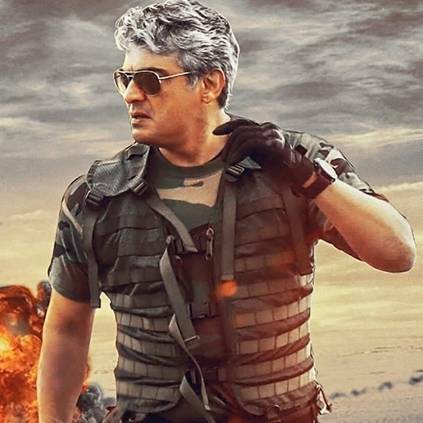 The shoot has already been wrapped, and producer Boney Kapoor tweeted that he was happy after seeing the rushes of the film, and wanted Ajith to do Bollywood films. Director Adhik Ravichandran retweeted this and spoke about Ajith's performance. It must be noted that Adhik Ravichandran is also a part of the cast of this film. He is a self confessed Thala fan, and used to erect banners and flexes for Ajith films in his childhood. Adhik has directed films like Trisha Illana Nayanthara and AAA, and is currently working on Kadhalai Thedi Nithyananda. Nerkonda Paarvai has Vidya Balan, Shraddha Srinath, Andrea Tariang, Rangaraj Pandey, Adhik Ravichandran, Abhirami Venkatachalam and others playing crucial roles. Yuvan Shankar Raja is the music composer, while Nirav Shah will be cranking the camera. Stay tuned for more updates! Rajinikanth - AR Murugadoss' Next Film Thalaivar 167 First Look On April 9. People looking for online information on Adhik Ravichandran, Ajith Kumar, H Vinoth, Nerkonda Paarvai, Thala will find this news story useful.